This section of the Art Loeb Trail begins on the right of F.R. 816 at the Black Balsam parking area 0.8 mile north of the Blue Ridge Parkway. For the first 10 yards, the Mountains to the Sea Trail shares the same trail before it descends to the right. 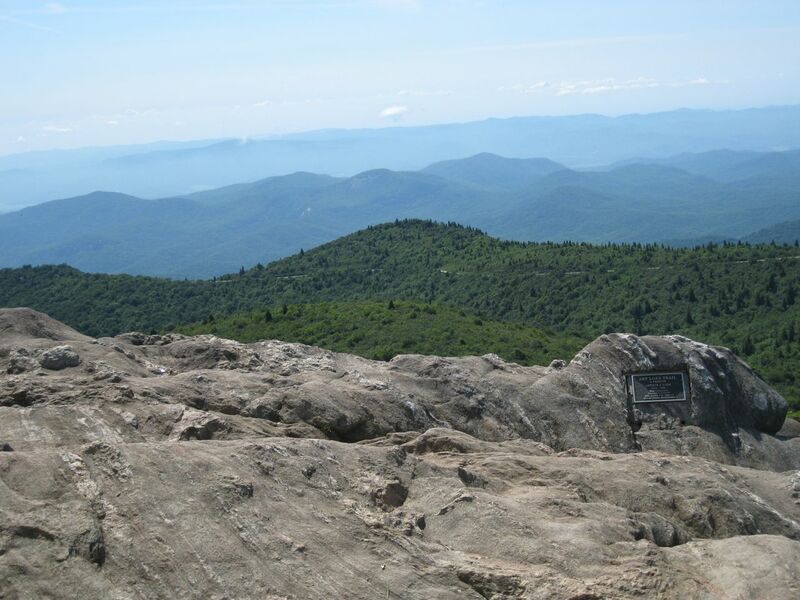 Staying on the Art Loeb, we hiked .6 miles to the summit of Black Balsam Knob. The 360 degree views are worth the short hike there. The main trail continues straight ahead descending to a small saddle. Continuing on to a series of switchbacks to the summit of Tennent Mtn at 1.6 mile. Descend down to the junction with Ivestor Gap Trail at 2.2 miles. The trail ascends to a pine grove and descends through a thick pine grove to Ivestor Gap after 2.4 miles. Turn left at the Shining Rock Wilderness sign walking on a gravel road.